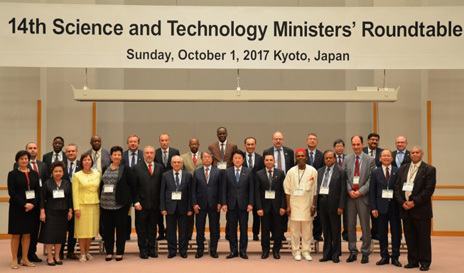 Science and Technology Ministers' Roundtable is held concurrently with the Science and Technology in Society forum (STS forum*). The Participants are Ministers participating in the STS forum. It is a good opportunity to exchange opinions and information each other on various science and technology related issues.